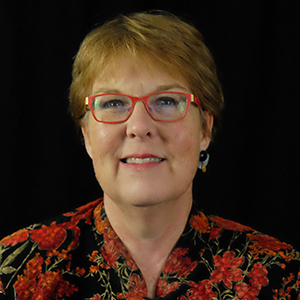 Denise Rozell is the Policy Strategist at AUCD working primarily on issues affecting youth in post-secondary education, employment and independent living. Denise has twenty-five years of experience in disability policy at the federal and state level working on almost all issues and legislation affecting individuals with disabilities beginning with the Americans with Disabilities Act. Before joining AUCD, Denise spent 15 years as the Assistant Vice President for State Government Relations at Easter Seals as the primary resource to Easter Seals 75 affiliates in building capacity to increase awareness of and support for disability issues in state government. Denise also developed expertise on issues of state policy and systems change including autism, Medicaid managed care, ACA implementation and health delivery system reform. Prior to coming to Easter Seals, Denise was the Executive Director of the Association for Education and Rehabilitation of the Blind and Visually Impaired, an international professional membership organization. Denise was responsible for member services for the 4700 members in 44 geographic Chapters. While at AER Denise continued her active involvement in legislative and public policy advocacy before Congress and the Administration on issues affecting the professionals serving individuals who are blind or visually impaired, focusing on health care and education. Prior to AER, Denise was the Governmental Relations Representative for the American Foundation for the Blind and the Director of Public Policy for the National Association of Developmental Disabilities Councils, the membership organization representing the 55 state and territorial Developmental Disabilities Councils. In those two roles she was responsible civil rights, including passage of the ADA, employment, health care, education, technology, and other issues affecting families and children with developmental disabilities. Denise holds a bachelor's degree in political science from Occidental College in Los Angeles and a juris doctorate from Boalt Hall School of Law at the University of California in Berkeley.